An MFP Repro solution from Contex can turn new and existing printers into copiers, giving you the small footprint you need without compromising on performance and versatility. 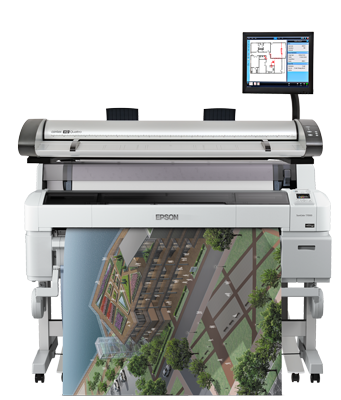 You can even add all you wideformat printers in Nextimage and turn all into copiers at no additional cost. For your best ergonomy, Contex MFP Repro offers the choice of operating the touch screen from left or right side. Contex full-featured MFP Repro solutions for scanning, copying, sharing and enhancing. You get outstanding image quality, with real-time view of enhancements and automatic cleanup of faded, dirty, or poorly shaded documents. The Contex MFP Repro bundles include a scanner, intuitive Nextimage REPRO software for scan + copy and a new IQ stand to fit even more printers. MFP Repro solutions includes Nextimage REPRO edition. A license for Nextimage can be installed on as many workstations as needed.